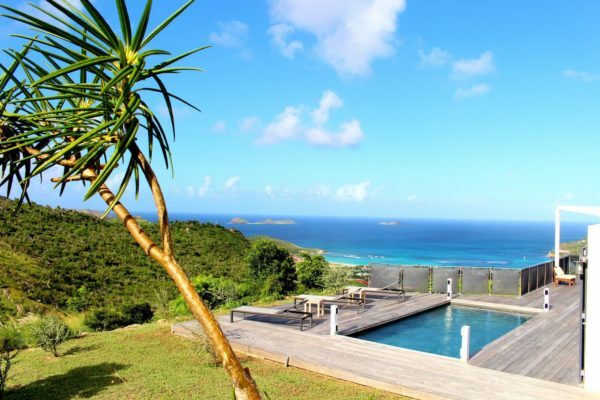 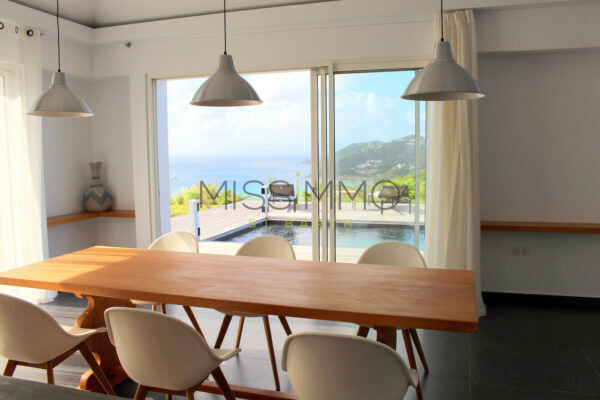 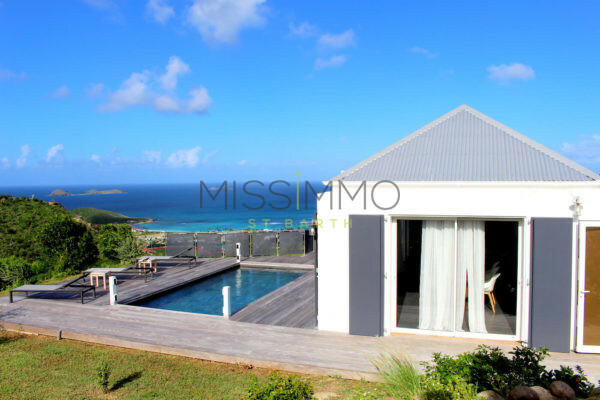 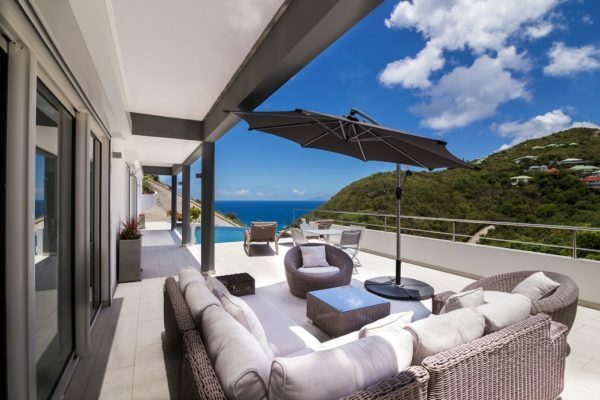 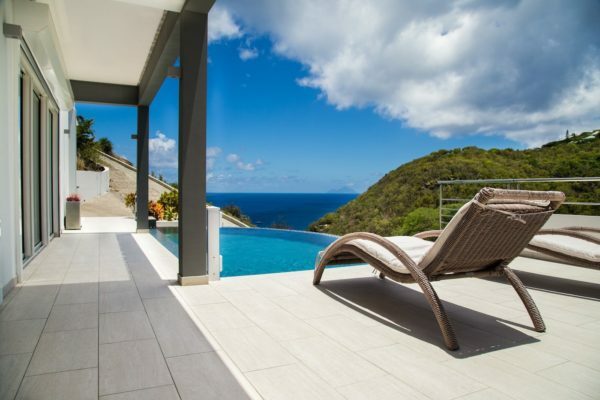 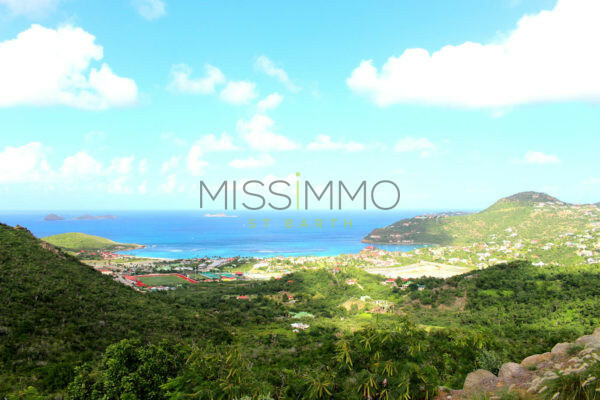 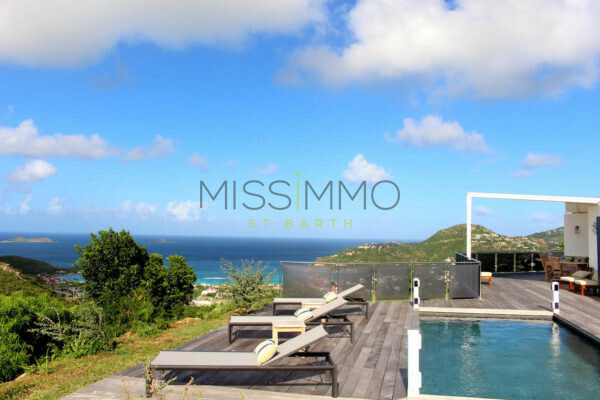 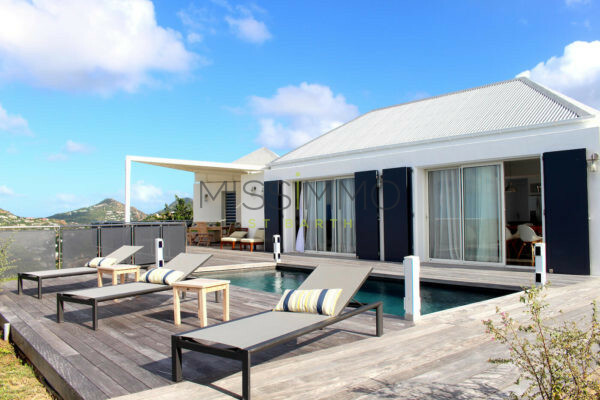 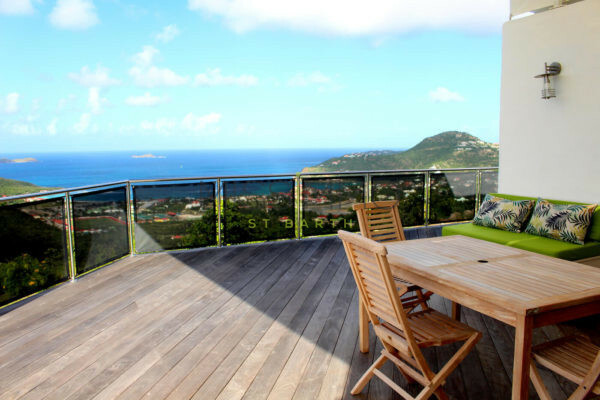 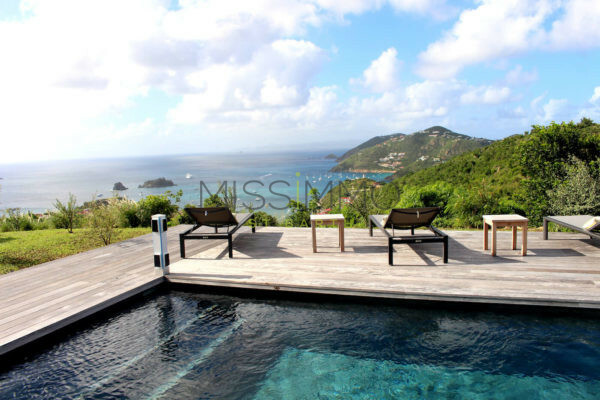 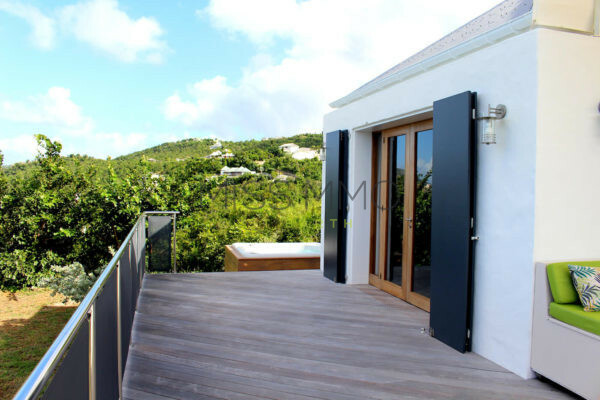 Villa Aloès is for sure the most beautiful panoramic view of Saint Barth. 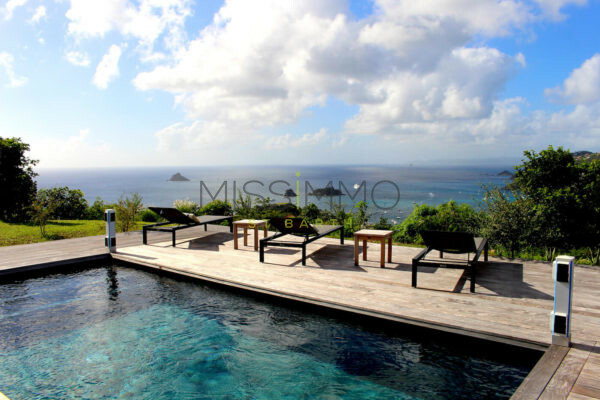 The villa is offering both view on the sunrise and on the sunset. 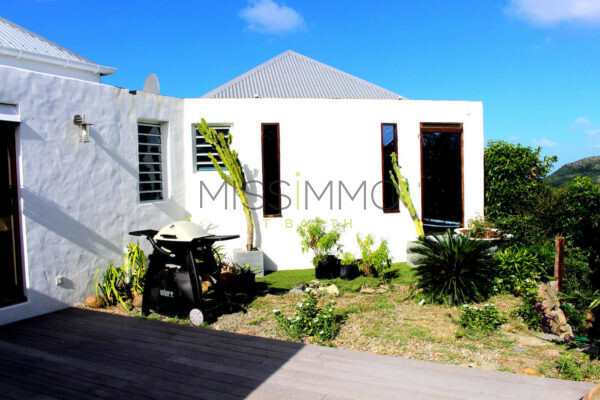 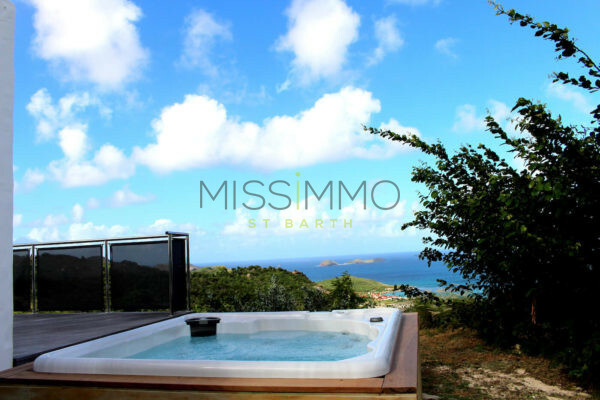 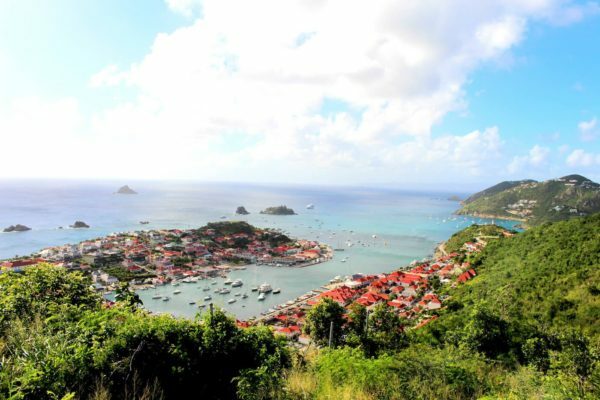 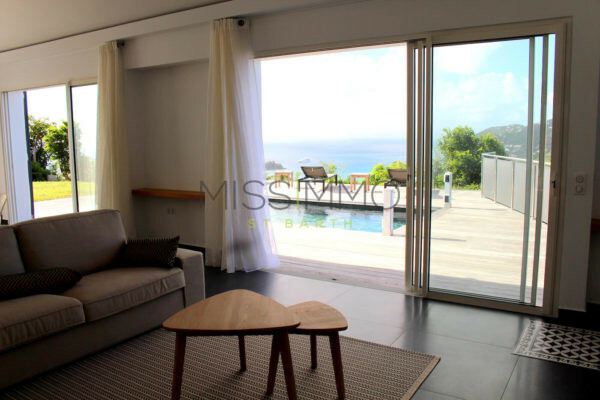 From its swimming pool or its Jacuzzi, you can enjoy the views of the Saint Jean Bay but also on the must-see Gustavia (Capital of the island) with its marina. 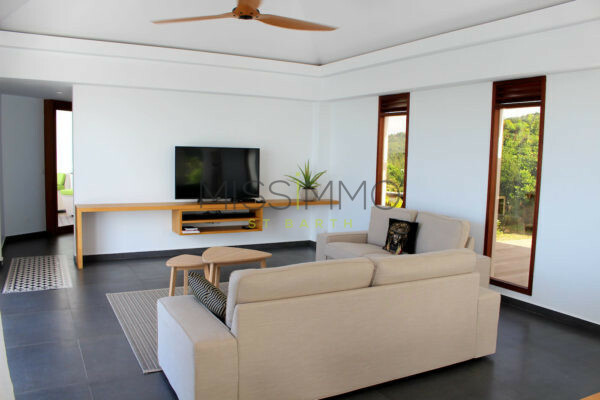 The villa offers beautiful interior spaces. 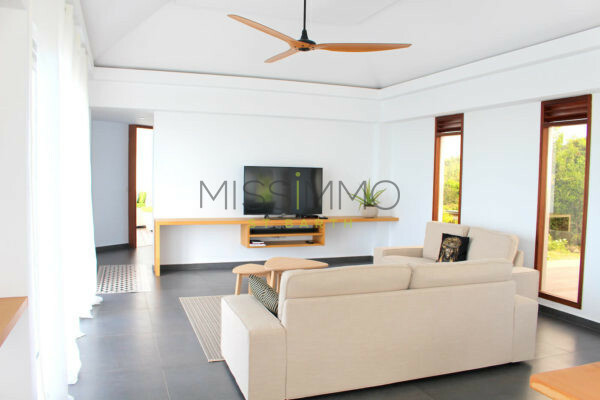 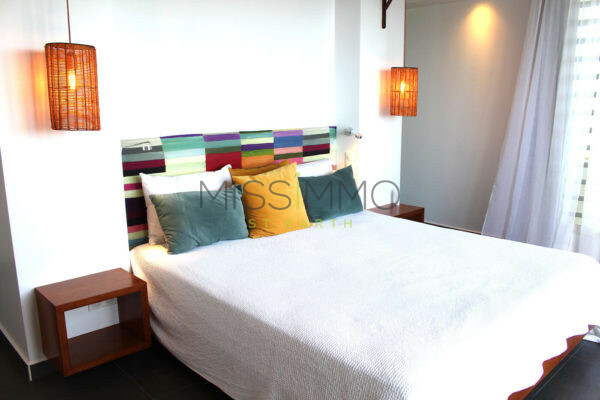 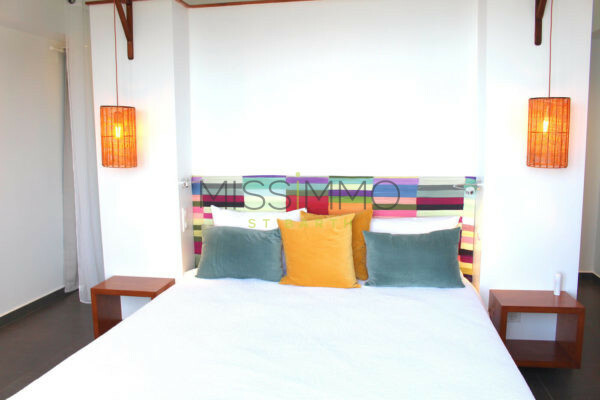 With a living room and kitchen well equipped, a reading or yoga area as well as a bedroom with king size bed, bathroom with shower, double sink and dressing room with safe. 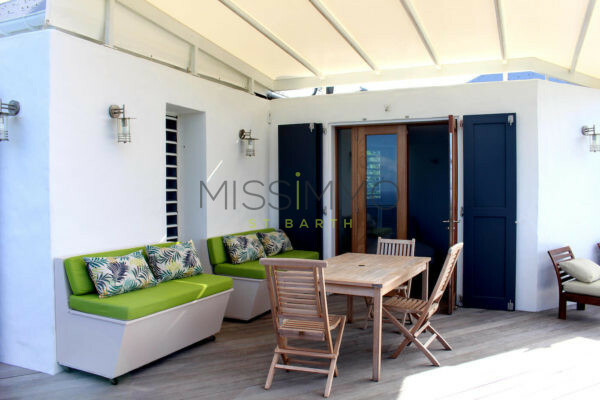 Large outdoor areas offer space for dining and relaxation areas. 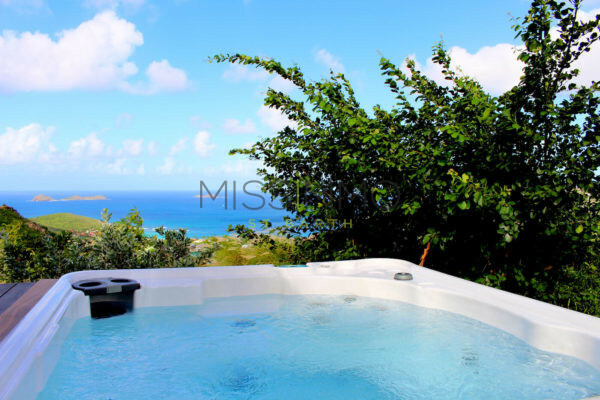 From the jacuzzi to the pool, you feel the peace and quiet. 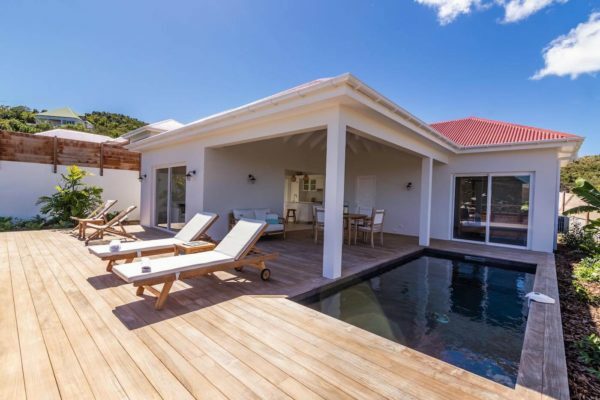 The privacy and tranquility of Villa Aloès make it the ideal place for honeymooners. 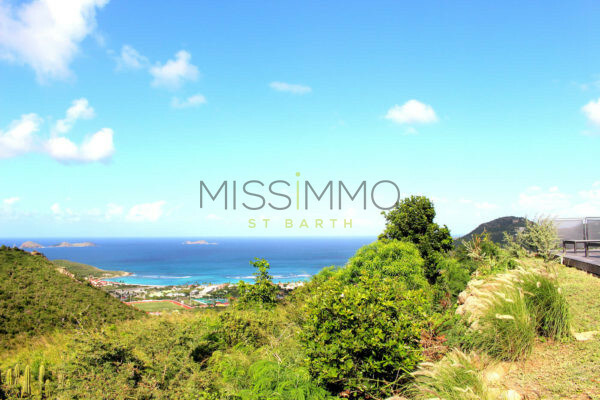 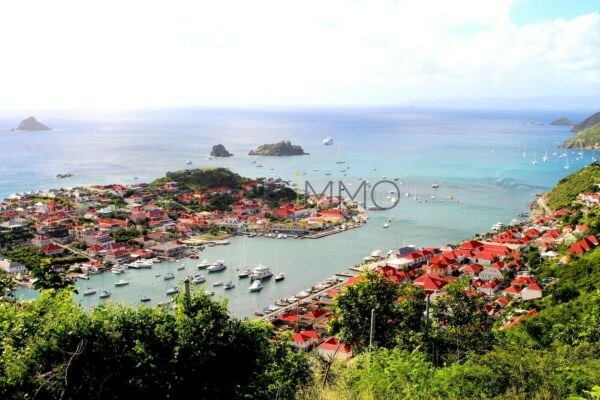 During the holidays, enjoy majestic fireworks from St Jean but also from Gustavia. 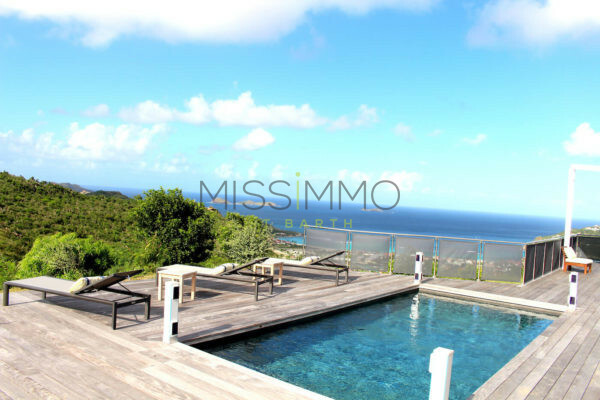 Pool – Hot Tub – Loungers – Gas Barbecue. 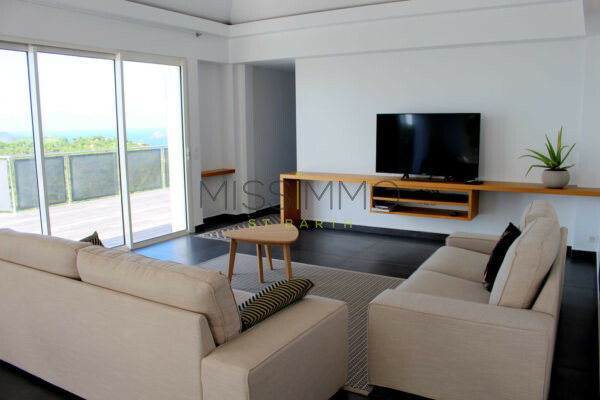 TV – US Satellite – WiFi. 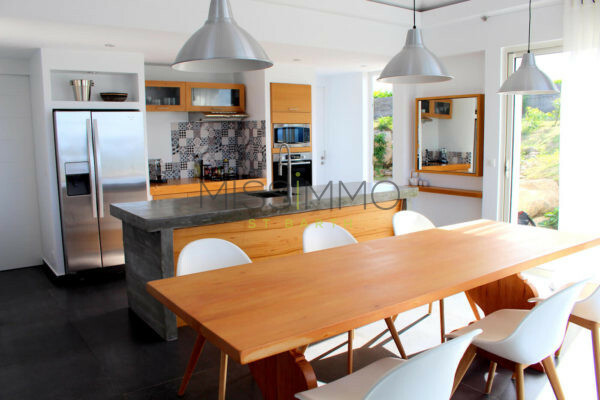 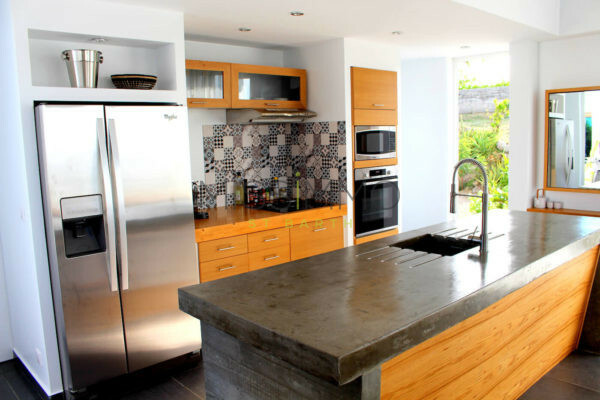 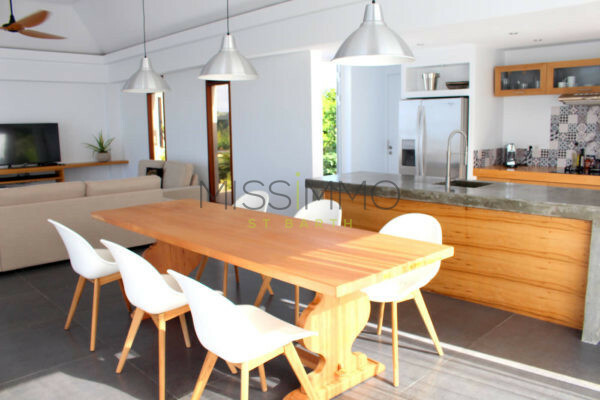 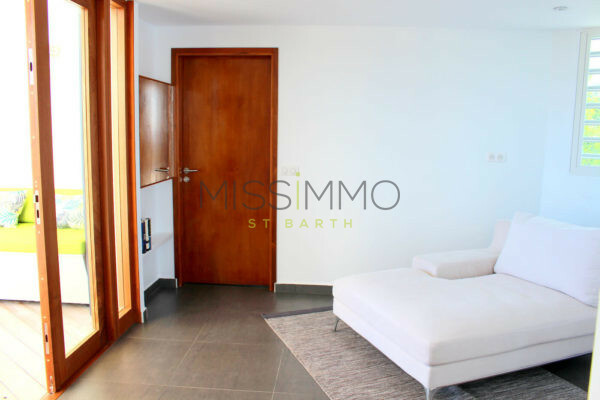 Equipped for 4 guests: Fridge – Freezer – Oven – Induction & Gas Stove – Dishwasher – Microwave – Coffee machine (Regular & Espresso) – Ice Machine – Toaster. 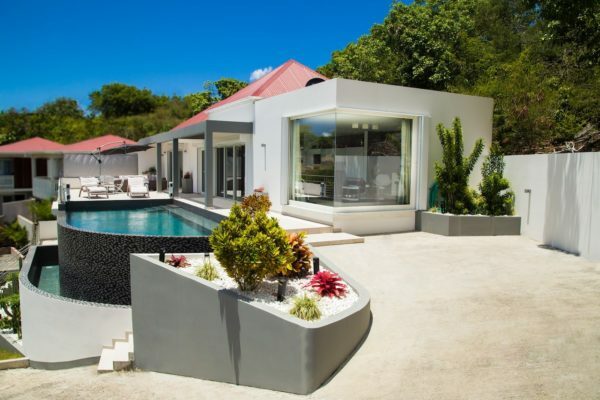 Gouverneur beach is just a few minutes away by car from Villa Aloès. 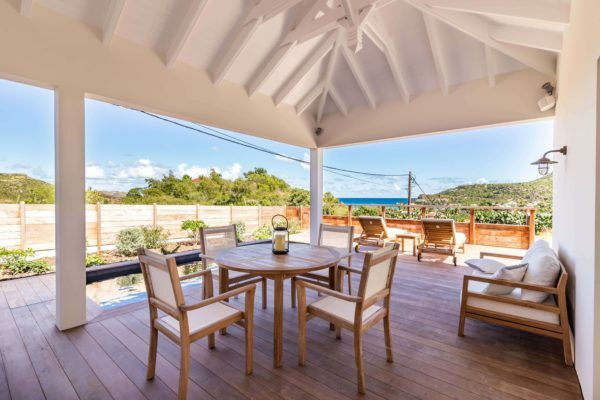 For a full "Gouverneur experience", we recommend you to have lunch at restaurant Santa Fe (Ask for a table on the terrace with the view), then to go down the road that leads to the beach. 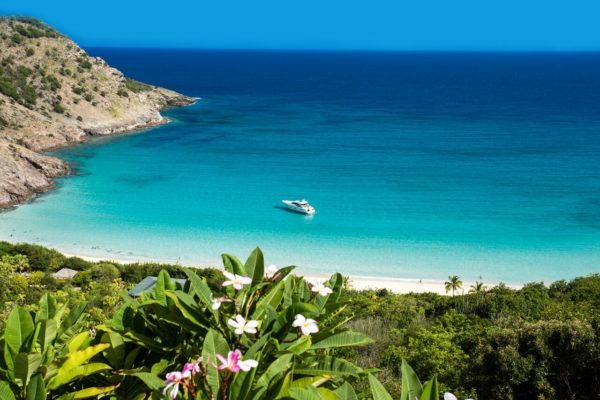 There is a shaded parking at the end, very convenient for a nice swimming after lunch.